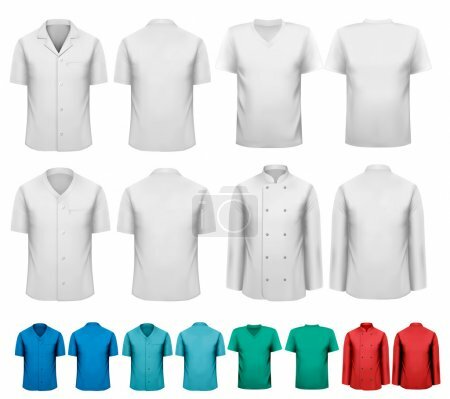 Set of white and colorful work clothes. Design template. Vector illustration.